Tyre developed for high performance and sporty SUVs, the Michelin Latitude Sport 3 4x4 tyre provides outstanding handling properties in wet conditions. Safety. This tyre delivers shorter braking distances than its predecessor thanks to an increased void ratio. Sportiness. The continuous central rib ensures high speed stability and a better steering response. Economy. The rubber compound, a mix of silica and elastomers, offers a higher mileage performance. Variable thickness sipes designed to minimise tread block deformation and reduce the tyre’s rolling resistance help improve fuel economy. Tyre for high performance SUVs. 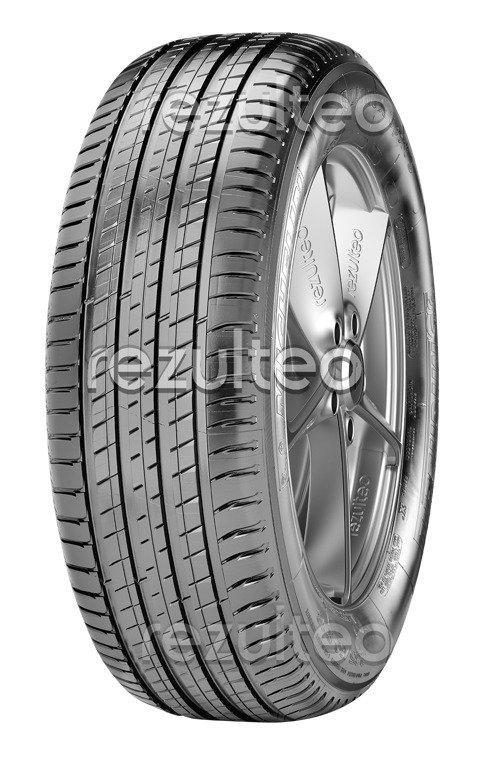 Tyre for reduced fuel consumption.